Although there are dozens in stores, if not hundreds of laptop models, it is very difficult to find a model that would be complete . 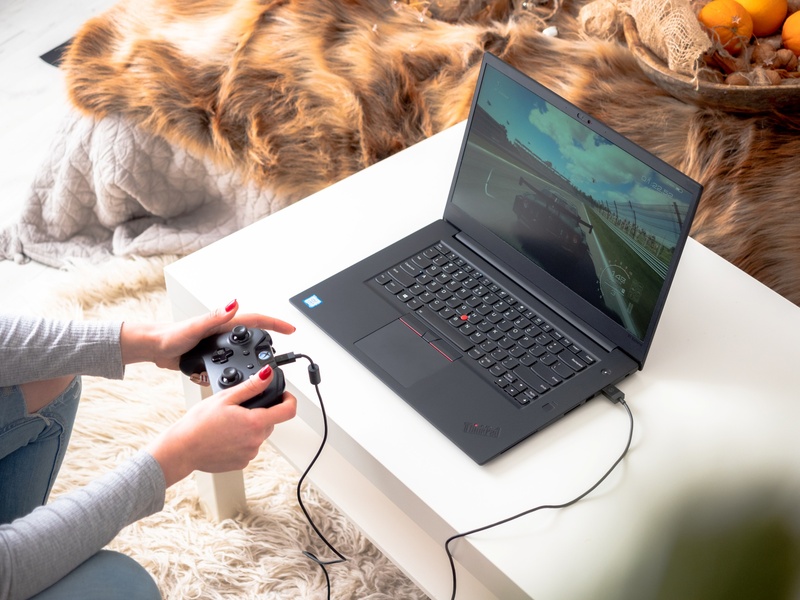 Lenovo Thinkpad X1 Extreme is just that. What do I mean by writing "complete"? For me it's a piece of equipment that can simplify everything a bit. It does not necessarily have to do everything the best, but it must be able to meet any challenge at least sufficiently. Contrary to appearances, there are few devices on the market that meet this requirement. The 15-inch MacBook Pro has always been a model example of such a machine. Objectively speaking - in a few things it is actually the best. There are laptops much more efficient. There are laptops that work longer on one charge. There are laptops that are lighter and slimmer. But few devices are as universal as the top Apple laptop. 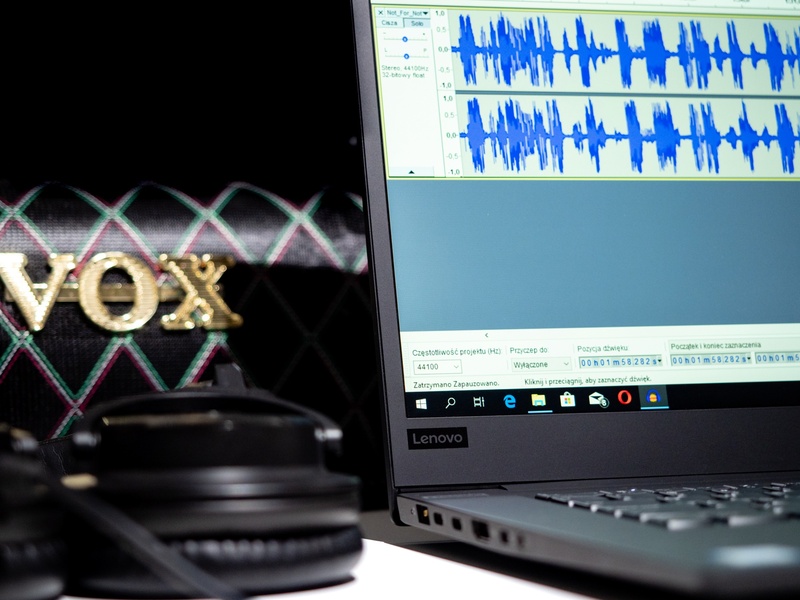 On the hardware side with Windows, this shootout is even more pronounced, and devices with such a combination of capabilities, such as the MacBook Pro 15, can be counted on the fingers of one hand. Lenovo Thinkpad X1 Extreme has everything I look for in work equipment. My professional commitments are focused on writing text, photographing and occasional video editing. I often work outside the home, so I require a good working time from the mobile computer, away from the socket, and in my work breaks I like to play a good game. It would also be good if it did not look like a UFO, attracting astonished eyes in cafes. And it has to be light enough to carry it in the bag all day, it does not end up with degeneration of the spine. These seemingly small requirements are met by really few computers. On the laptop side with Windows I can mention only Della XPS 15, Razer Blade 15 and Surface Book 2. Now, to this short list, I also include the Thinkpad X1 Extreme, with which I spent a few weeks and which more than met all the challenges I set before him. As a chronicler of integrity, my adventure with the new Thinkpad did not start happily. The test copy showed strange problems with the graphics system, which was not remedied by the reinstallation of drivers or the restoration of the computer to the factory settings. Only the BIOS update (lasting nearly two hours!) Restored the device to its usable state. Which only proves that even the best computers on the market are stumbling. After all, it's just electronics - it has the power to break down. After the not very nice beginning, there were very nice weeks of work. 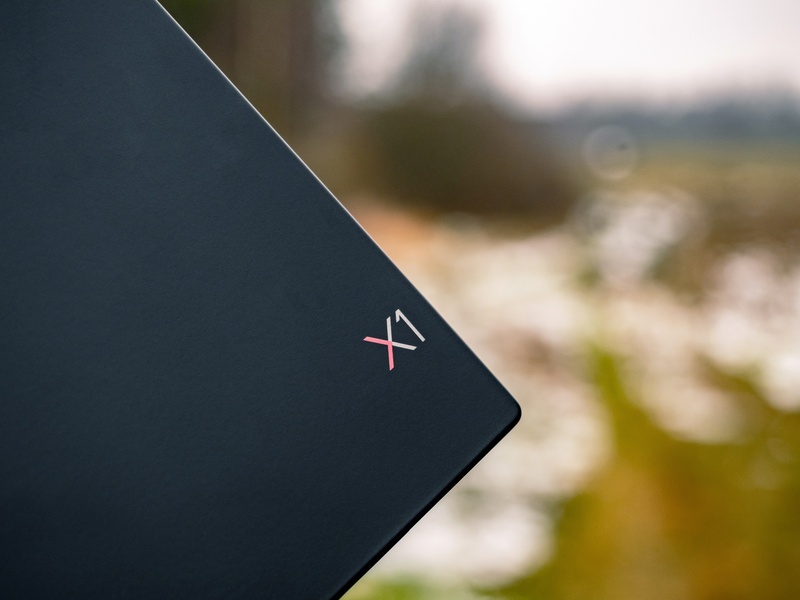 I used the Thinkpad X1 Extreme every day, writing texts on it, editing videos, processing photos, playing games and generally using it for everything. Following the previous criteria, the Thinkpad X1 Extreme deserves very high marks. On paper, the specification may not fall. The copy I tested was equipped with a quad-core Intel Core i5 processor, 16 GB RAM, 512 GB SSD and GeForce GTX 1050 Ti Max-Q graphics with 4 GB of memory. According to the price list, this configuration costs less than 11,000. Golden. For a stronger version with Core i7, we would pay slightly over 12,000. zlotys, while the top configuration equipped with 32 GB of RAM is the cost of over 14 thousand. Golden. Apparently expensive, but also very comparable to other laptops with similar capabilities. Although I did not test the strongest variant, I never thought I lacked the power. 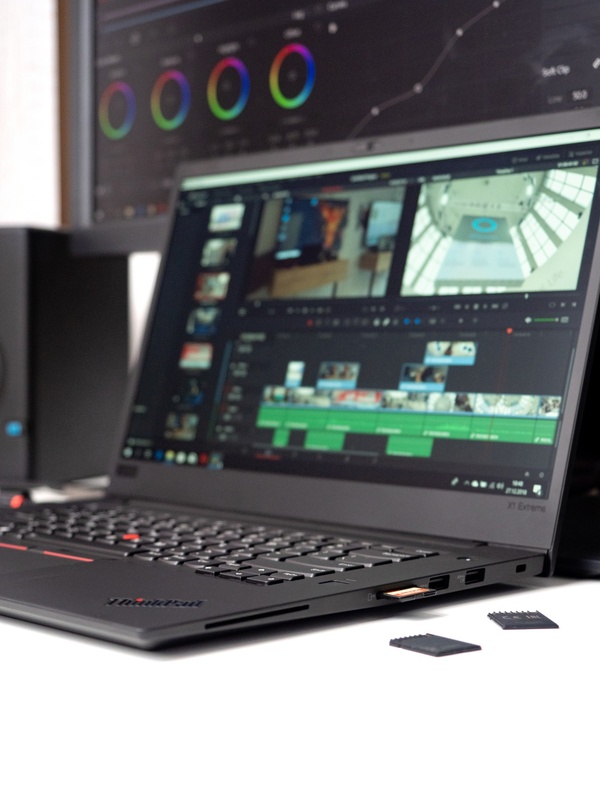 Thinkpad X1 Extreme easily dealt with large libraries in the Lightroom, simple retouching in Photoshop or editing 4K video in DaVinci Resolve. He also had no major problems running less demanding games, and even with The Witcher 3 he did exemplary, of course on medium graphic settings in 30 fps and Full HD resolution. Most of the time, Thinkpad X1 Extreme was also quiet and cool. This changed only when the most demanding tasks, such as photo export or video coloring. However, there is a noticeable decrease in performance when you work without connecting to the socket - the laptop is clearly lacking power then, and the work time on one charge drops drastically. For demanding sentences, it is better to connect the computer to the power supply. I would even say that it is not only great, but simply the best one we find in a laptop. Well, maybe on par with Surface Book 2 . The Thinkpad X1 Extreme keyboard is excellent. It has a perfect pitch, perfect balance of keys, a comfortable profile of plastic caps. Writing on it is a pleasure. It is a pity that we adjust the backlight in only three levels (weak, strong, lack). The moment of getting used also requires the location of the Fn key on the leftmost side - other laptops have Ctrl in this place. You can finally say a lot of good about the trackpad, which - similarly to the Thinkpad X1 Carbon gen. 6 - received support for Windows Precision drivers. Therefore, it supports all gestures of Windows 10 and, although it is far from the quality of the MacBook Pro, it is good enough for everyday applications. A good battery? Is. Although not as good as the producer claims. The notorious overstatement of the expected working time is a serious sin for all laptop manufacturers with Windows. One Apple gives the expected working time according to how much the laptop will actually stay away from the socket. Other manufacturers are fond of specifying synthetic test results. "17 hours of working time" usually means "17 hours of looped video on a minimally dimmed screen, with Wi-Fi turned off and all processes in the background." Lenovo estimates 15 hours of Thinkpad X1 Extreme time and this is too optimistic prediction. In real, low-maintenance - Word launched, Opera browser with several tabs, Spotify working in the background, screen set to medium brightness level - Thinkpad X1 Extreme withstands me fully sufficient 7.5-8.5 hours. I know that in the 8.5 hours advertising brochure it looks much worse than "15 hours", but I would prefer to see information corresponding to reality in it. Especially since this reality is not bad at all, and thanks to the Rapid Charge function, the Thinkpad X1 Extreme loads faster than most laptops. High quality screen? It depends. In Poland, only a variant with a matte matrix with Full HD resolution is currently available. Soon there will also be a touch variant with a 4K HDR sensor, with stylus support. Displays have been the Achilles' heel for all Thinkpads for years, with the exception of the W series. What is the screen of a perfect color reproduction for a businessman on the go? 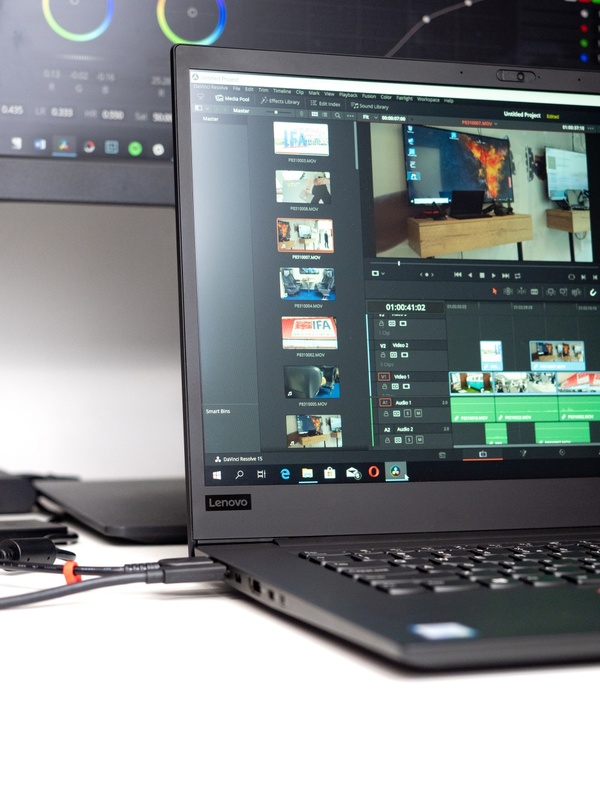 Lenovo, however, recently noticed that Thinkpads are also increasingly used by professionals from the creative industry who require faithful color reproduction. And unfortunately they will not find it in a laptop version with Full HD matrix, which covers only 86 percent. sRGB color space, with a very high Delta E parameter. For this reason, I did not dare to process photos on the built-in laptop panel, but each time I connected a professional graphic monitor. For other applications, the panel was quite OK - bright enough, with great viewing angles and saturated colors. Professionals who need good colors on the laptop screen must wait until the release of the 4K variant. The appearance is subjective, but ThinkPads can not be denied the unobtrusive elegance. 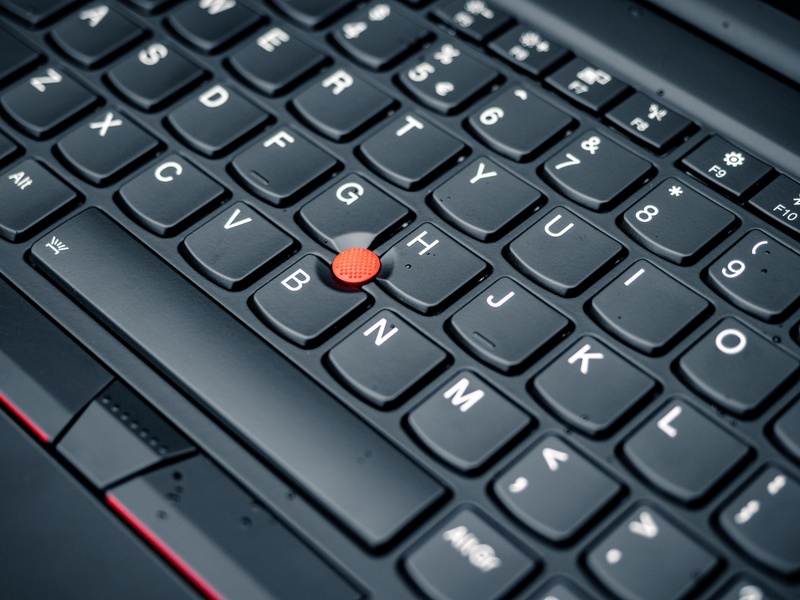 Subdued, black casing with a subtle, red accent - on the one hand, everyone who knows technology at least knows the Thinkpad. On the other hand, its aesthetics are pleasing to the eye and non-transparent also for outside observers. Thinkpad X1 Carbon in a coffee shop is like a chameleon - it costs the same as a "prestigious" MacBook Pro, but does not shout at all around, how expensive it is. In addition, its weight does not exceed 1.8 kg (in the version with a 4K screen), which for a 15-inch laptop is a very good result. 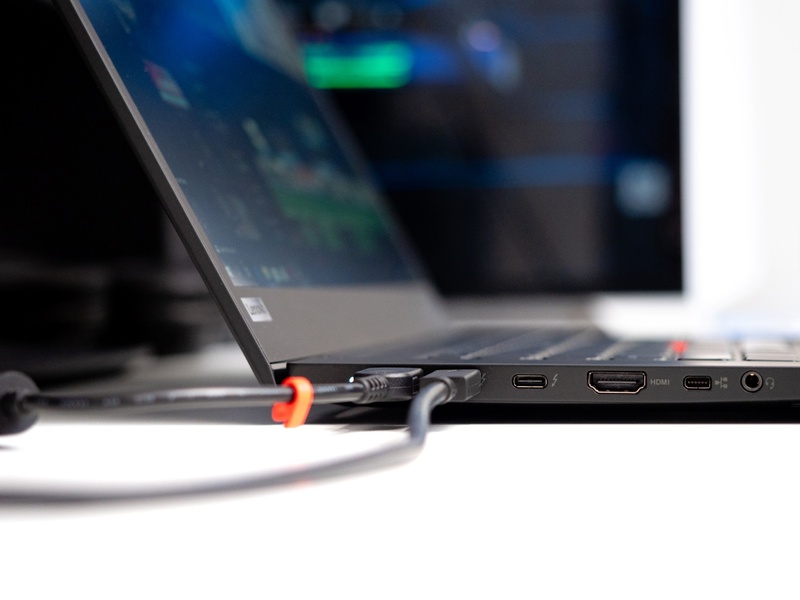 Thinkpad X1 Extreme is a Thinkpad. And it's his biggest advantage over his rivals. All laptops, which I have described above as "complete", are de facto missing one feature - strength. Surface Book 2, MacBook Pro, Dell XPS 15: it's all beautiful, efficient and quite ... filigree machines, which I rather fear to pull out of the bag in unseen conditions. Lenovo Thinkpad X1 Extreme, like every Thinkpad, is a device - colloquially speaking - not plowed. Previously mentioned laptops are like modern SUVs: powerful, beautiful and totally unsuitable for entering the area. 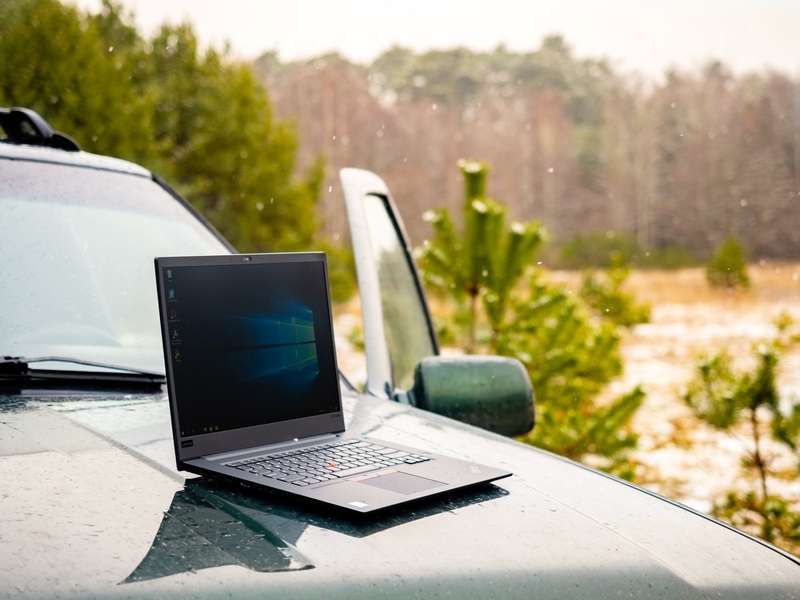 Thinkpad X1 Extreme is in this analogy Toyota Land Cruiser - maybe a bit archaic in design, but everywhere it gets in, everything can withstand, and when something damages it, it's easy to fix it. However, the level of luxury does not stand out from modern competition at all. Without any worries I pulled the Thinkpad X1 Extreme out of the backpack in the cold, I took photos of him during the snowfall. I did not really care when the cat threw the laptop off the table and nothing would happen to him if I accidentally poured coffee over him. 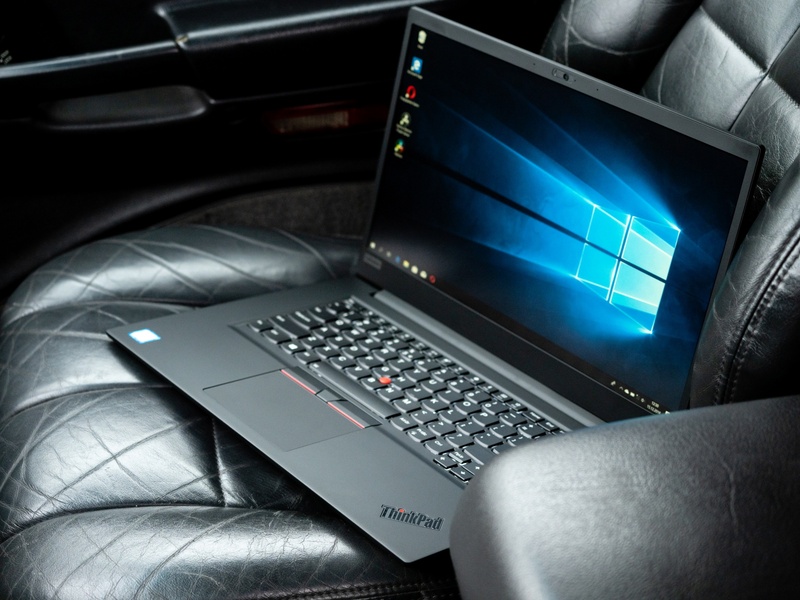 Thinkpad X1 Extreme will take more than any other laptop in this segment. I hope that the Thinkpad X1 Extreme will compel the competition to speed up the pace. 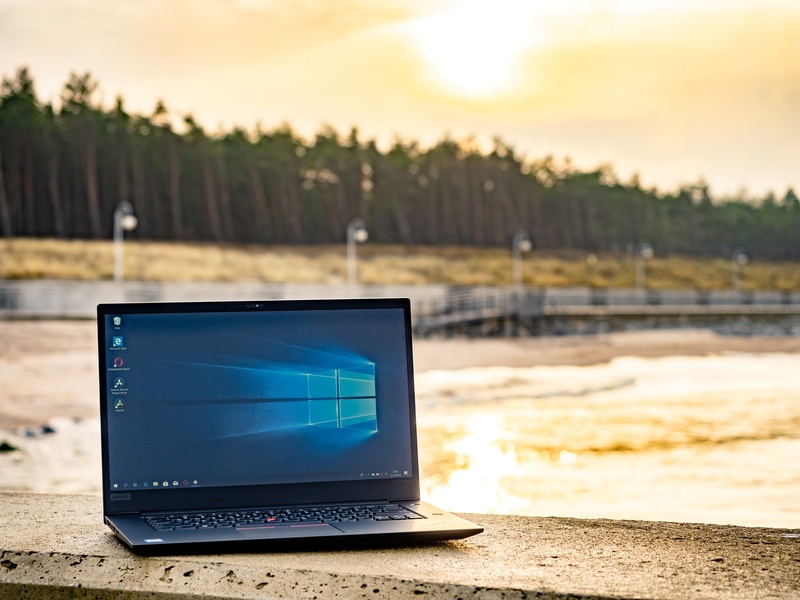 Until now, the laptop of the Thinkpad series has bypassed the mainstream shopping trend, focusing strictly on the business client. I feel something that these times will soon be forgotten, at least when it comes to the X1 Extreme. This laptop is a neat combination of the best in the world of business laptops, to meet the expectations of consumers who until then could choose between two-three laptops. I saw, personally, how great the Thinkpad X1 Extreme impression he made on journalists during the premiere in Berlin . There was no end to the queues, people were pulling the laptop out of their hands, and some of the journalists present in the room whispered that it would be their next computer. Lenovo has made a dash in the segment of professional laptops, presenting the computer even more "complete" than others, and closing it in a fault-tolerant, easy-to-maintain housing, which is a praiseworthy addition to the unrepairable MacBooks and Surface Books. I strongly hope that such a loud premiere will force the competition to double its efforts and soon more demanding "complete" devices will appear on the market than the Thinkpad X1 Extreme.